Watches are things that people like to put on their wrist and forget about. The Apple Watch is no different, except for the added functionality it offers. That’s great when it works, but if your watch isn’t vibrating when it’s supposed to, here’s how to fix it. 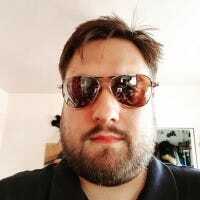 The Apple Watch is without a doubt the most popular smart watch on the market, and with the Apple Watch Series 4, Apple has upped the ante considerably. The problem is, as watches become ever smarter, they invariably start to suffer from the same kinds of software bugs that can befall any other computer. The Apple Watch has seen bugs of its own, and missing notifications because the watch isn’t vibrating is a pretty big one. If you find yourself missing alarms, or even normal run-of-the-mill notifications from apps, that’s no good. Here are a couple of fixes that might help–hopefully, you’ve missed your last wake-up call. The Apple Watch has always offered two different levels of vibration. There is the standard option, and a more vigorous Prominent Haptics one. We much prefer the more noticeable version, so we suggest trying that out first. 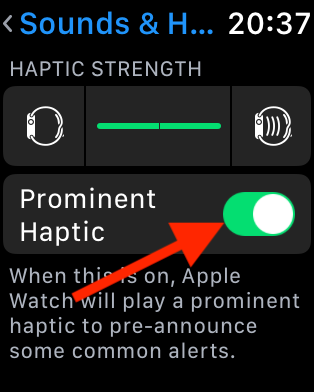 Next, beneath Haptic Strength, turn on the “Prominent Haptic” toggle. The difference between the two is pretty noticeable, we think you’ll agree. If you just keep failing to notice the standard vibrations, this should fix your problem. No matter how small and svelte it is, the Apple Watch is still a computer. That means that unfortunately, even today, it might benefit from a restart every now and again. If you find yourself in a situation where your watch is simply refusing to vibrate, a restart is a good troubleshooting step to try. 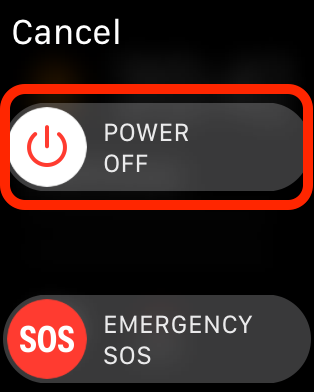 To restart your Apple Watch, press and hold the side button until you see the Power Off slider appear on-screen. To complete the process, slide the “Power Off” slider all the way to the left. 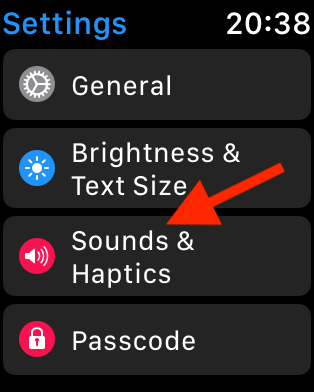 Once your Apple Watch has turned off, turn it back on by pressing and holding the side button until the Apple logo appears. Whatever problem that caused your watch not to vibrate for alarms should hopefully be fixed. If neither of these steps solves your problem, it may be time to reach out to Apple either via your local Apple Store, or the many other support channels available via the Apple Support app.